First things first, I am the worst cook in the world and that is not an exaggeration. A vegetable stir fry or poached eggs on toast or a salad is about as complicated as it gets for me in the kitchen and if I'm being honest I really, really do not like cooking in the slightest. Now baking is another story; I LOVE to bake and that isn't just because I've got a huge sweet tooth (it is definitely because I've got a huge sweet tooth; eating left over cake mix from fairy cakes? YES PLEASE.) 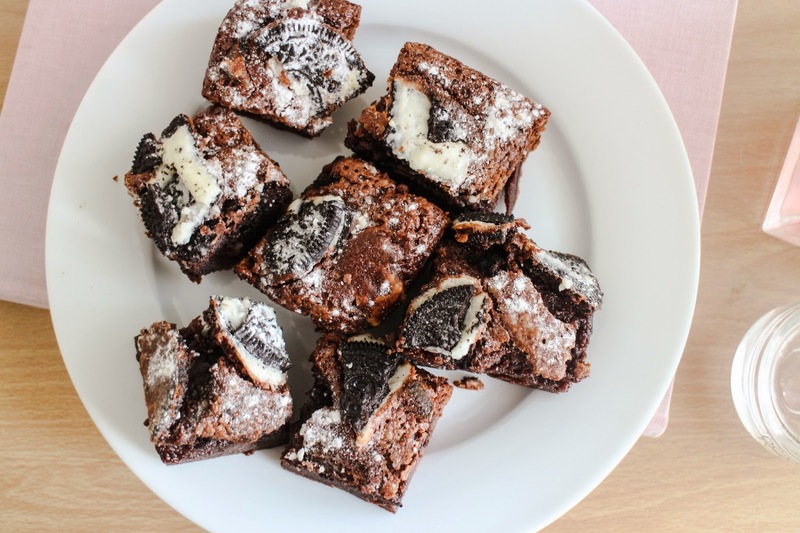 Last week my friend Courtney and I decided to bake Oreo brownies and if you looked at our last baking attempt then you would have expected these to be terrible but you would be wrong! They turned out amazing and I could have sat and ate the whole tray; I'm getting cravings just thinking about them. They were so good I just had to share them with you guys and help spread the yumminess. We followed this recipe on bakingmad.com which was really easy and clear; if you like baking at all then this website is for you! I really love seeing fashionable people trying to cook. I might wanna try cooking too sometimes! I love both cooking and baking, but my sweet tooth is massive. These look amazingly good! Wow! This looks SUPER delicious!!! I'm the same as you, I absolutely HATE cooking, I can't even cook poached eggs without them going wrong! I'm surprisingly good at baking a tasty cake though, so will be trying these out, they look fantastic! These look amazing! I am so much better at cooking than baking, I can bake but I always get bored of following the recipes and just use what I think is right- sometimes turns out amazing, sometimes not! Sounds delicious! I want to eat them so bad now! oh my good god these look incredible!!! i feel like i've put a stone on just looking at them..! These look amazing! I really shouldn't have clicked this post when I'm hungry ;| haha. I will most definitely be making these. These look insane!!! Wow, definitely trying this recipe ASAP! - Thanks for sharing! These look amazing! I am so rubbish at baking but feel I might have to try these!! These look so delicious, they've made me really want some brownies now haha! ah they look so good! I made something similar but I added peanut butter to the mix! It's fabulous, you should try it! Great blog! 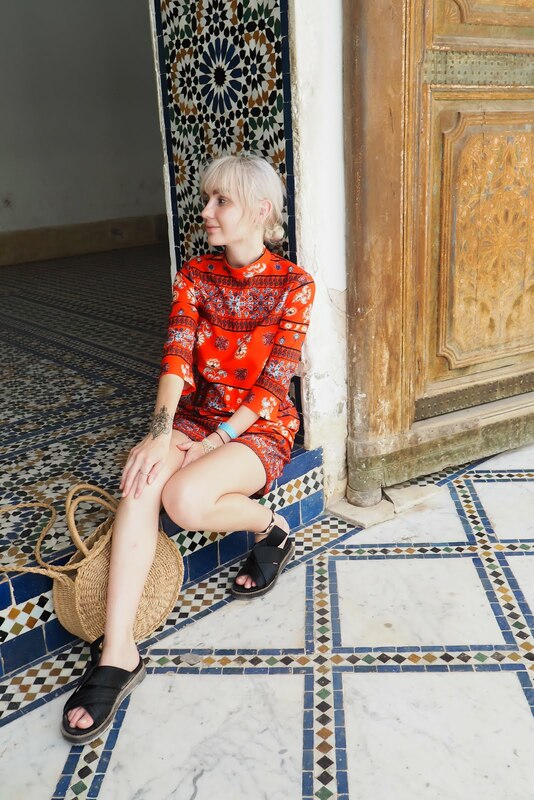 Please check out my style blog too! Looks delicious! Might try it out myself someday even though I'm not too great in the kitchen haha. Oh My God... Drooling all over the place right now, hungry as hell and this is straight up a combo of two of my favourite things! haha. Gosh how incredibly gooey and delicious do these look! I'll definitely have to give them a whirl as I too am a pretty bad cook! Wow testy yummy i like very much this thanks for sharing! safety course in chennai|Industrial safety training in chennai|diploma in fire and safety courses in chennai|iosh course training in india|nebosh courses keep posting! Thanks for sharing this information. 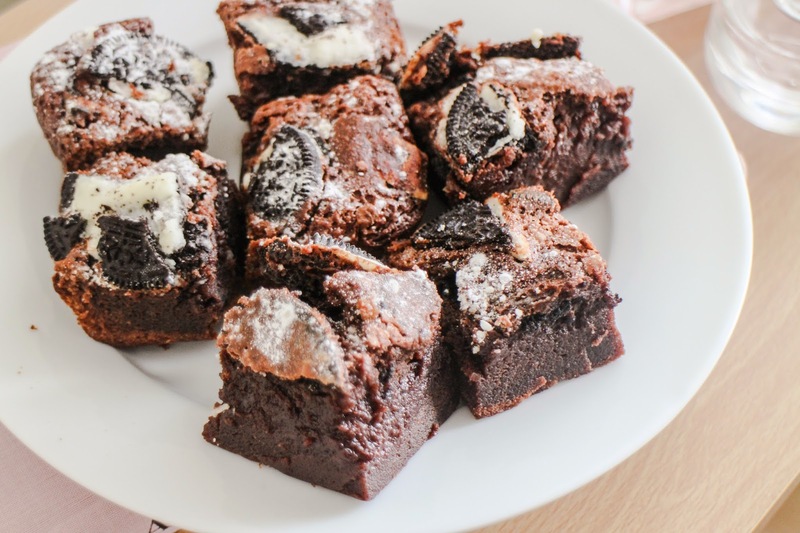 I like this OREO BROWNIES recipe. I really like to taste it because while seeing this i am thinking its giving testy and yummmy! keep on post. Guide for Health and Safety Workplace | Best Health and safety blog in the world | What is safety in workplace | Common Misconceptions About Workplace Safety | Powerful Workplace safety Tips for workers | Workplace Safety Should be your Prime Focus | Safety & Conditions to Prefer Tower Crane .